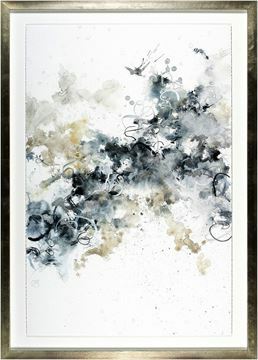 A playful and expressive explosion of water colour splashes. 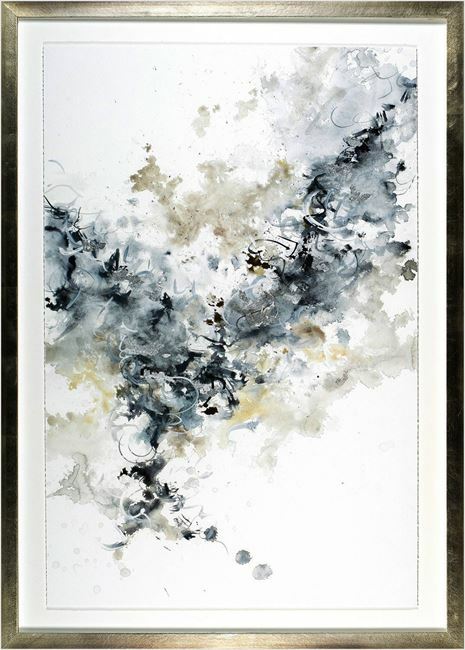 A playful and expressive explosion of water colour splashes and mark making in this piece will enliven any neutral space. 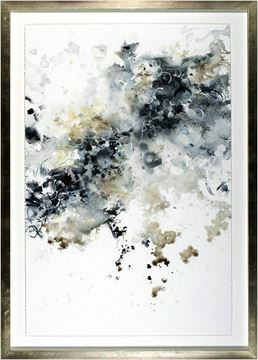 It's taupes and of greys create a big splash of texture. Each piece is impeccably set off with deep frame space, torn edge and finely textured, antiqued, silver frame for a truly special presentation.